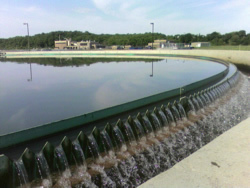 Because building or upgrading wastewater, drinking water, and stormwater facilties can be very costly financial assistance programs were created to help communities fund needed improvements. These programs provide financial assistance, through grants and loans to dischargers, using priority systems that rank environmental infrastructure projects based on the nature and severity of the problems. This includes a number of different programs discussed in more detail under the Municipal Finance and Construction Element section.